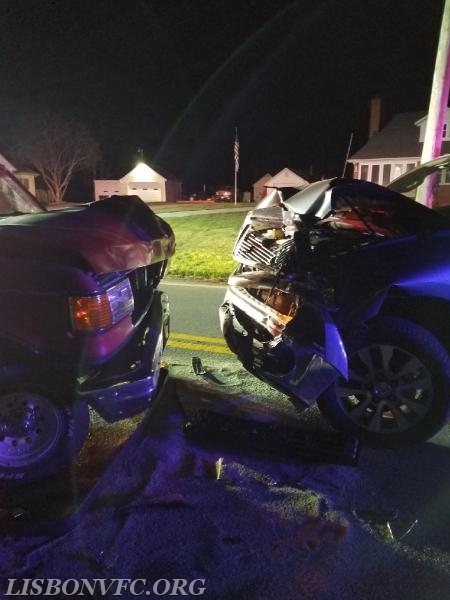 At just before 11 p.m. on April 14th RE4 and P45 were alerted for a vehicle collision in the area of Woodbine Road and Gillis Falls Road in Carroll County. 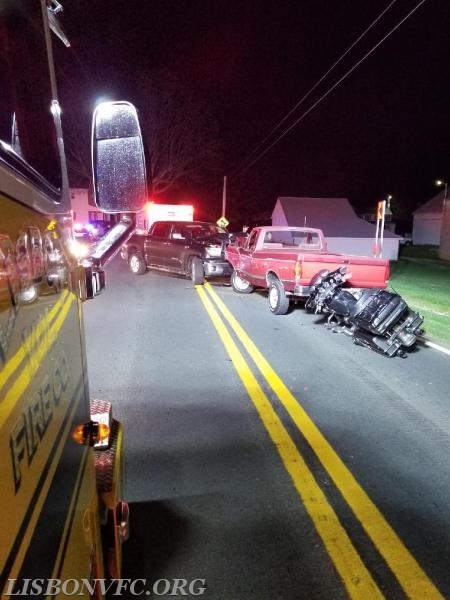 RE4 arrived to find a 2 vehicle accident and as a result there was a second accident involving a motorcycle. E41 responded to assist with landing MSP Trooper 3 who transported a patient from the scene. 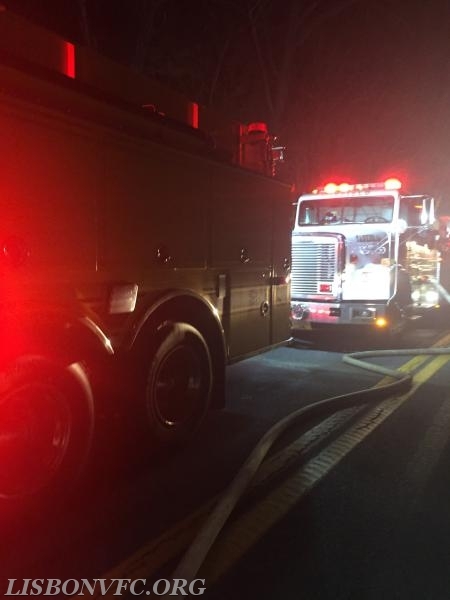 Units operated for approximately 1 hour, the Carroll County Sheriff's Office is investigating. 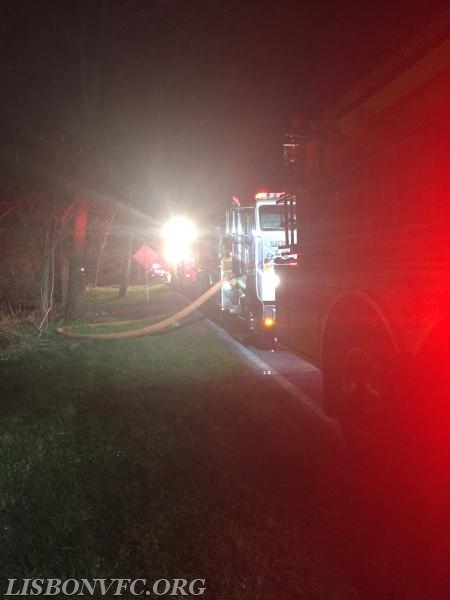 At around 12:30 am on April 15th after cleaning up from the vehicle accident crews from Lisbon and surrounding companies were alerted for a reported house fire in the 4100 block of Harrisville Road in Mount Airy. Units arrived to find an outbuilding and brush on fire in a hard to access location. E41, ET44, and WS42 all responded to assist the units from Mt. Airy, Winfield, and New Windsor. 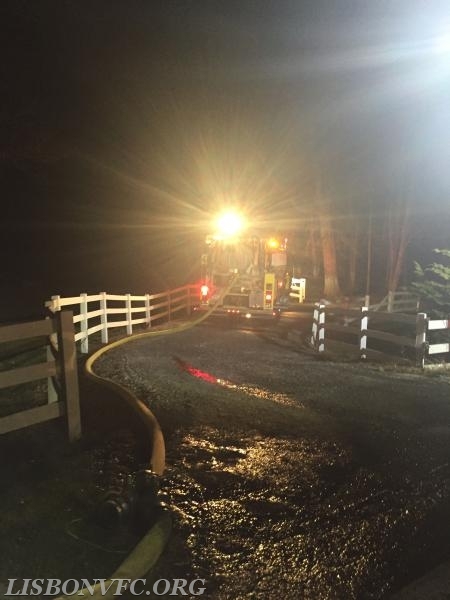 E41 assisted with the fire attack, ET44 shuttled water to keep the incident supplied, and WS42 made access to a nearby pond to secure a water supply for the scene. 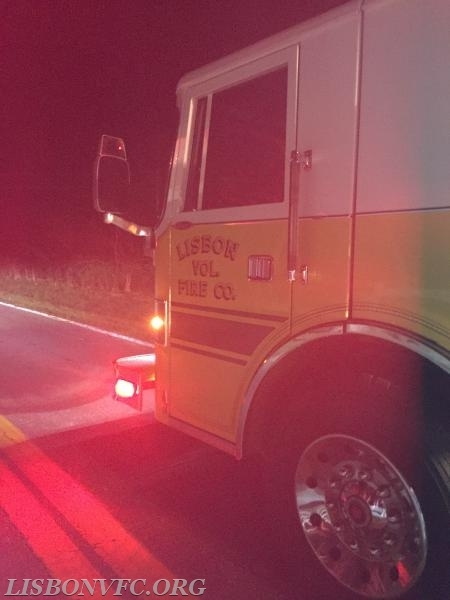 Crews operated for approximately 2 hours. The MD State Fire Marshall's Office is investigating.